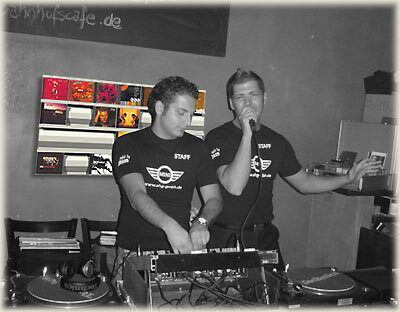 Wherever CDs are played in public places, the elegant CD stand SIGMARAIL® enhances the status of shops, pubs, coffee-shops, and discotheques. Customers of any kind enjoy themselves, feel comfortably and return more often. SIGMARAIL® is the eye-catcher behind the bar in your restaurant. Your customer at the bar sees the music at hand and may ask explicitly for his or her favourite song. In the disco, the DJ displays his repertoire for this evening and easily gets the next CD with one fast grab from the rack system. The single-hand control gives freedom for the other hand holding the headphones or adjusting the controls of the sound mixer. The guests see what the DJ has available this night, and can ask him to play a particular song. With background music you stimulate the buying mood of your customers in your boutique, your fashion shop or your hifi centre. 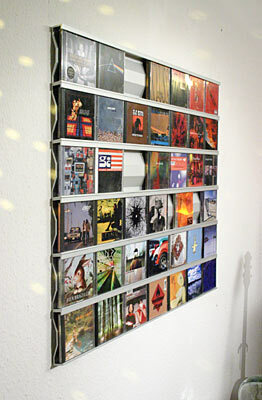 The idea to show your customers your best CDs in an elegant CD stand seems to suggest itself. 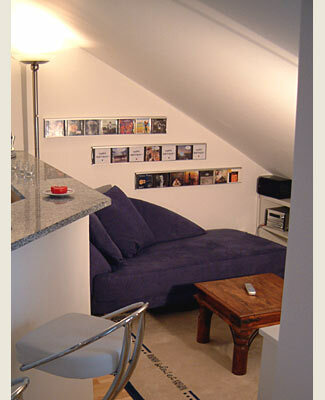 With a SIGMARAIL® above your stereo system you prove your good style and improve your ambiente. SIGMARAIL® is ideal in modern offices, too: You arrange frequently used CDs (software, data) at the wall in your SIGMARAIL® rack. Thus, one cannot lose track of them and has got them always at hand – time-consuming and unproductive searching is a thing of the past! Your hairdressing or barber shop carries conviction through excellent customer service and a pleasant ambiente. Now you’re to amaze your customers with another smart service: You display the latest popular CD in your SIGMARAIL® stand – and your customers pick out exactly that kind of music they would like to hear while getting their hair dressed...!